Given the level of interest, I thought I’d pass on a couple of related items. 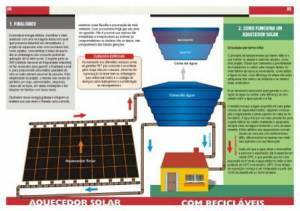 The first is that that Paraná has put together and offers free for download an illustrated instruction manual on how to build one of your own solar heaters with PET bottles and tetrabrik. Sure, at present the manual is only offered in Portuguese, but that should not pose a significant challenge for any able to read Spanish well. And frankly, the illustrations are so numerous and well-done that even people fluent in other languages might be able to follow along. It certainly is easier to follow than the assembly manual (supposedly written in English, but apparently by someone not very familiar with the language) I received with my last purchase of a large item of furniture. The second related item is the news about a new wrinkle in the efforts of Paraná’s state housing entity, the Companhia de Habitação do Paraná (Cohapar), to build thousands of cheap, basic casas verdes (“green houses”) homes for low-income families. These homes prominently feature the solar water heater made from recycled materials. 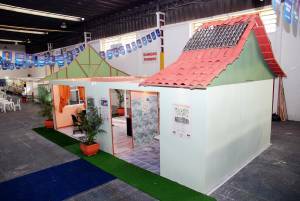 PR’s neighbor, the state of Santa Catarina (SC), recently signed an agreement with PR to share the paranasense design and know-how for the casa verde so that it can build them for its low-income families. 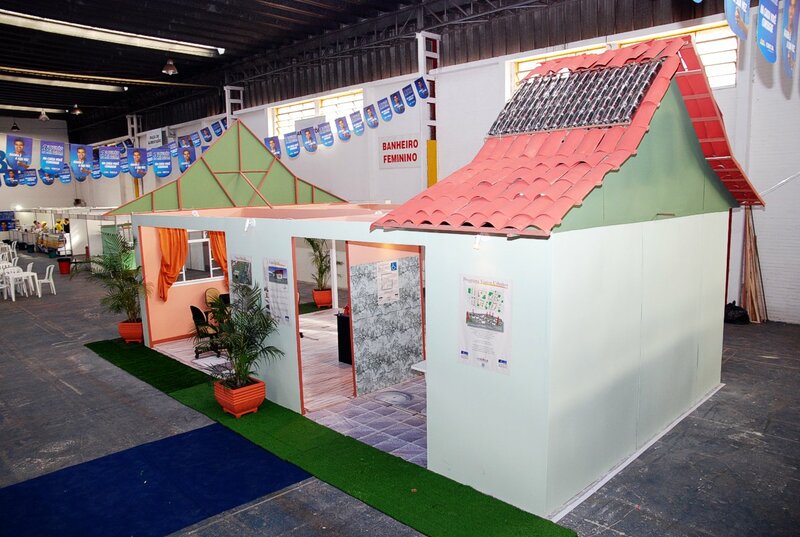 PR has the casa verde down to a low-cost (about R$ 9,000 per) pre-organized kit that can be assembled in just weeks. [Click the image at right of a cutaway mock-up of the house — note the solar water heater incorporated into the roof.] The 46 square meter (m2) houses are constructed using wood either seized from illegal shipments or certified by authorities as coming from reforestation projects. i tried to download the manual you mention and the file is corrupted. if you have a copy of the instruction pdf would you please email it to me? muchos gracias (sorry my spanish is terrible). The link for the instruction manual has been changed in the post — hopefully this one will function more smoothly. Great. Was unable to read the document as it was not in English. Like to work with it if manage to get the documents. Fantastic. Keepup to good works. Alfredo, many thanks for posting the new link. I had not noticed that IAP changed its address yet again. Bad Behavior has blocked 1091 access attempts in the last 7 days.